ACES Sweden , SMFF and Orsa Tallhed Flygsällskap had the event EASG 16 at Tallhed Airport in Orsa, Dalarna, Sweden, August 9-13. At this event model airplane pilots from all across Europe gathered to find who is the best European Aircombat pilots of 2016. Results: Found on this page . Photos (and Swedish text) found on this page . 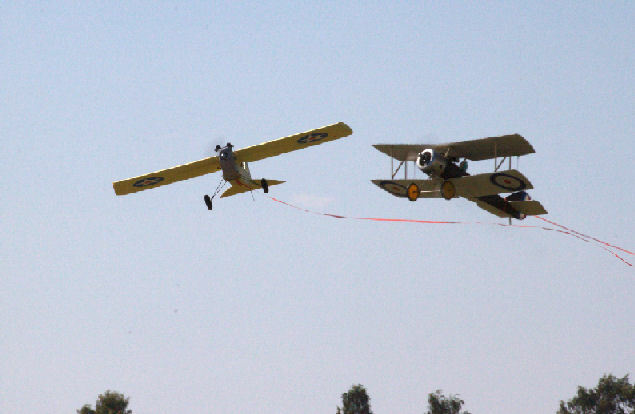 Aircombat is radiocontrolled models of warbirds, flying contest flights with a streamer attached to the model. Points are gained for flight time points, for cuts on other models streamer and if you manage to land with your own steamer un-cut. Two classes will be flown at this event - World War I (WWI) and World War II (WWII). In WWII models of original war-planes in the scale 1/12th are flown. In WWI models of original war-planes in scale 1/8th are flown, where also extra points are given for scale details.